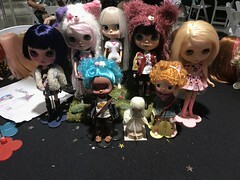 I’ve finally put all of my dolls on display! 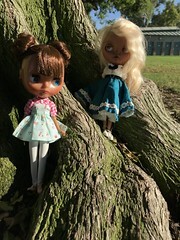 I’m not going to share photos until they’re dressed and have shoes on (>_< I know. Shame on me). The cats have been pretty much running my life (moreso than before). I know kittens are adorable, but there’s something to be said about how chill older cats are. My older kitty is now the unwilling mom of the kitten, and she has no where she can escape to without the kitten managing to follow her (there is one place, in the cabinet where my kitten hasn’t figured out how to climb, but for some reason the older cat won’t go there.). I’ve made a couple of things for my cats! First off, I’m growing grass for them ^^. 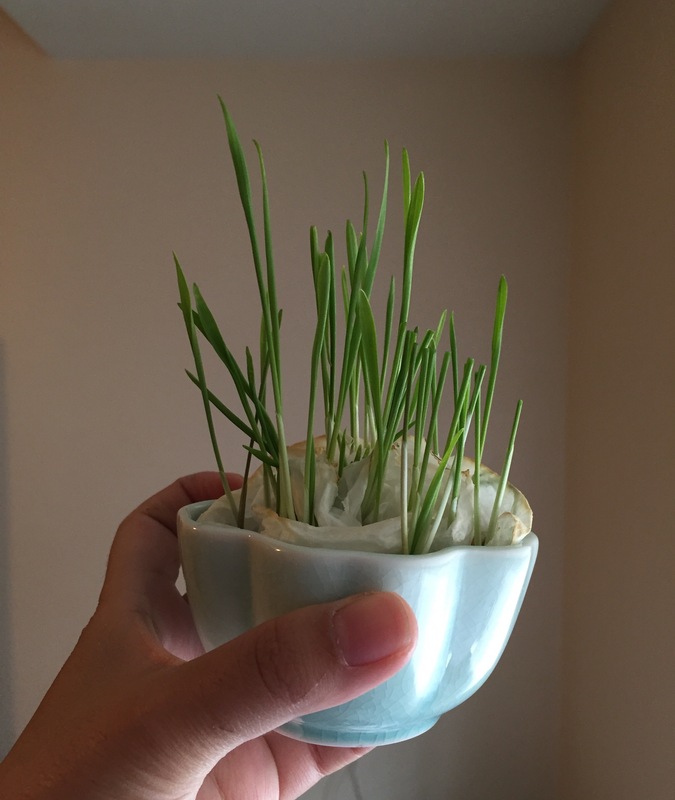 This is wheat grass, grown in a ceramic tiny bowl in some wet paper towels (yay DIY! Yay no dirt!). My older cat loves chewing on grass (and then puking it up). 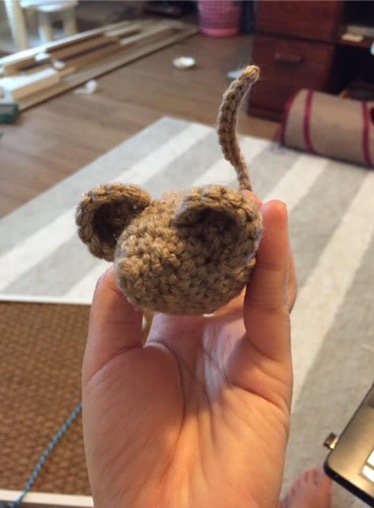 I’ve also crocheted a mouse and a ball for my friend who has a cat. 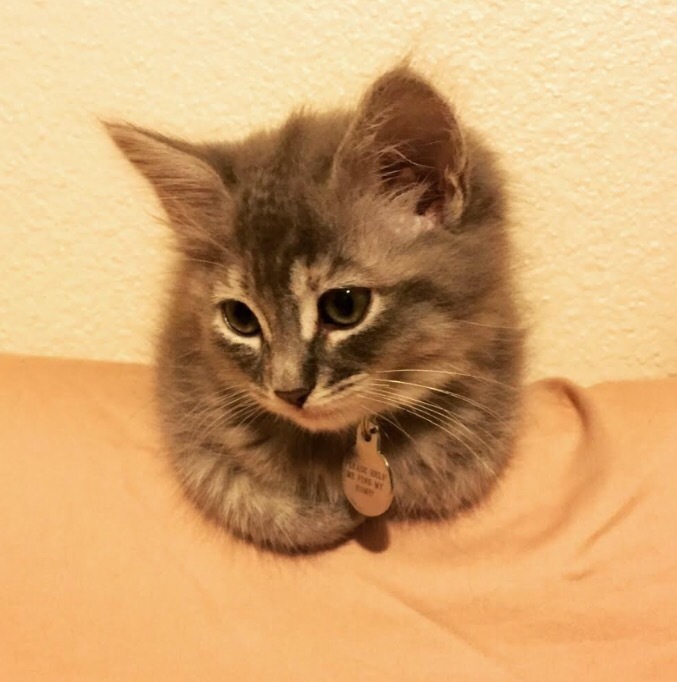 To be completely honest, having a kitten is nothing like I imagined. I didn’t realize how hyperactive the kitten would be and how annoyingly in the way she would be to both me and my older cat. I’m hoping the kitten will learn to leave my older cat alone soon, because she’s near 8 years old and an unwilling participant in kitten motherhood. I’ve become a huge fan of older cats lol, and an advocate of adopting kittens in pairs. 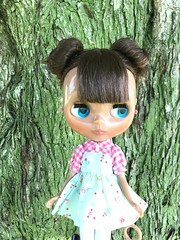 For all I complain though, Nimby is so stinking cute.